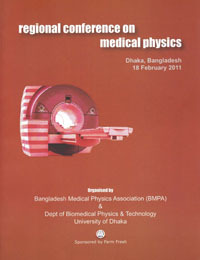 Bangladesh Medical Physics Association (BMPA), formed in 1996, brings together the professionals in related areas in the country in order to improve the delivery of the benefits of modern healthcare technology to the common people. Although restricted somewhat because of different practical difficulties, BMPA is striving on to its goal with steadfastness and dedication. © 2019 Bangladesh Medical Physics Association.